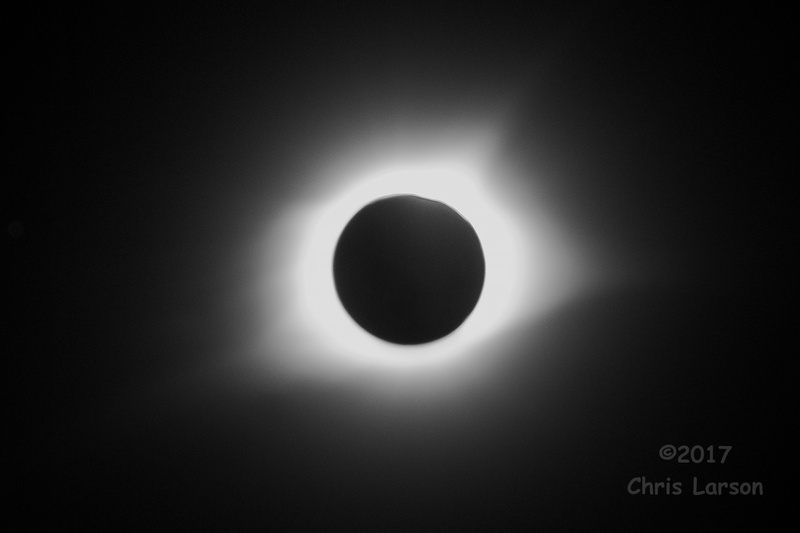 I originally was planned to photograph this from some location in Nebraska, but weather forecasts made me scrap that plan the morning of the 20th just before I was to hit the road. After I ate the hotel reservation I had made in Council Bluffs, IA for that night, I found a room to get in Madisonville, Kentucky where the forecast was for partly cloudy skies. Turned out to be a good move. 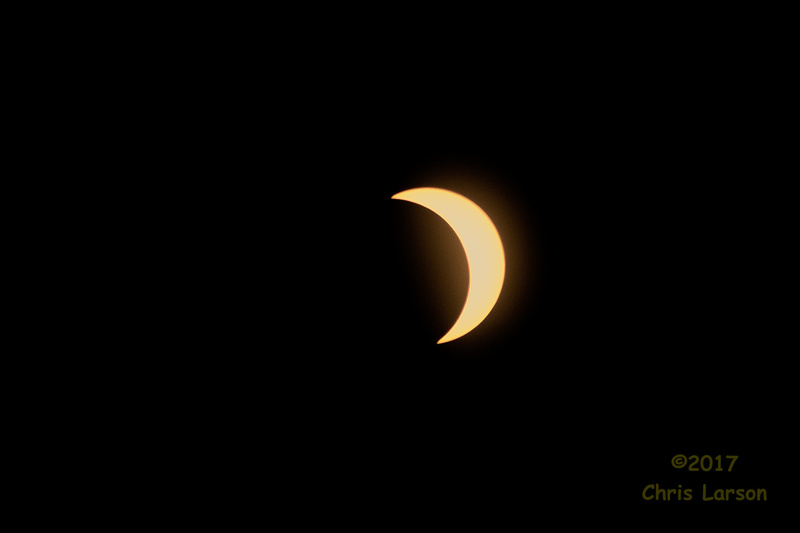 The skies had some very high-thin fair-weather clouds, but otherwise great. Rain held off until the next day. 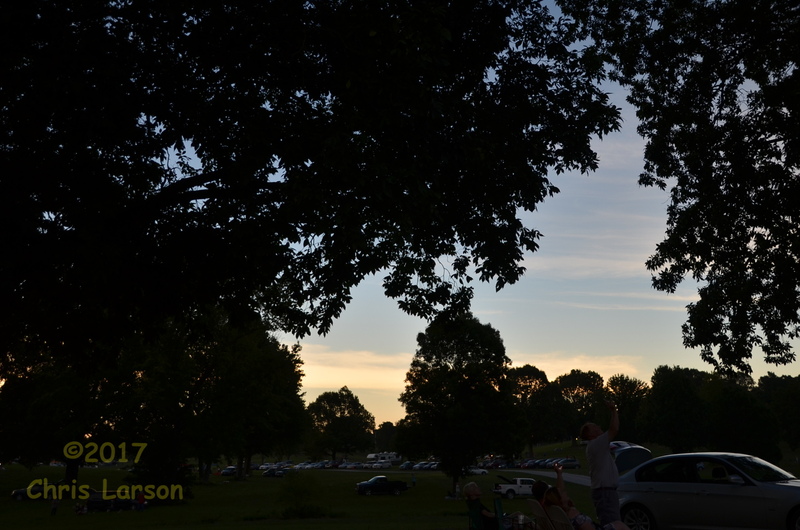 I was not on the centerline of the eclipse, but that meant I didn't have a traffic jam and thick crowds of people either. 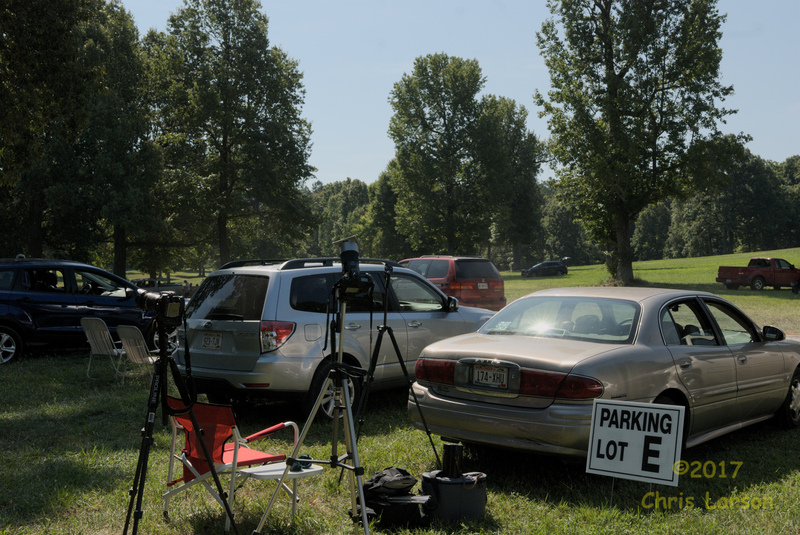 I had 1 minute, 44 seconds of totality at the park I was at, where down the highway at Hopkinsville was more like 2 minutes, 25 seconds. But they had traffic jams coming and going that day (at least reported on TV news). I had to pick out my location to photograph from that morning as I arrived in town after 10pm the night before. Mahr Park was my choice, and it worked good IMO. 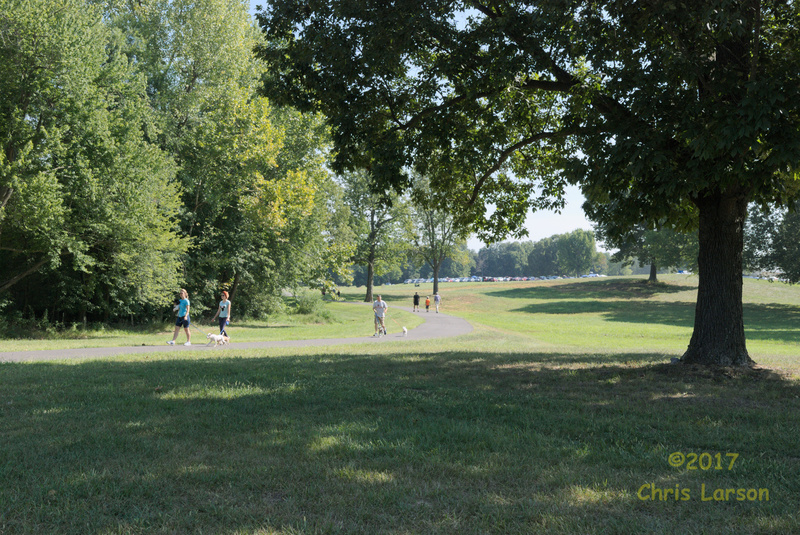 A newly-opened park that is unusually large for a city of 20,000 or so. 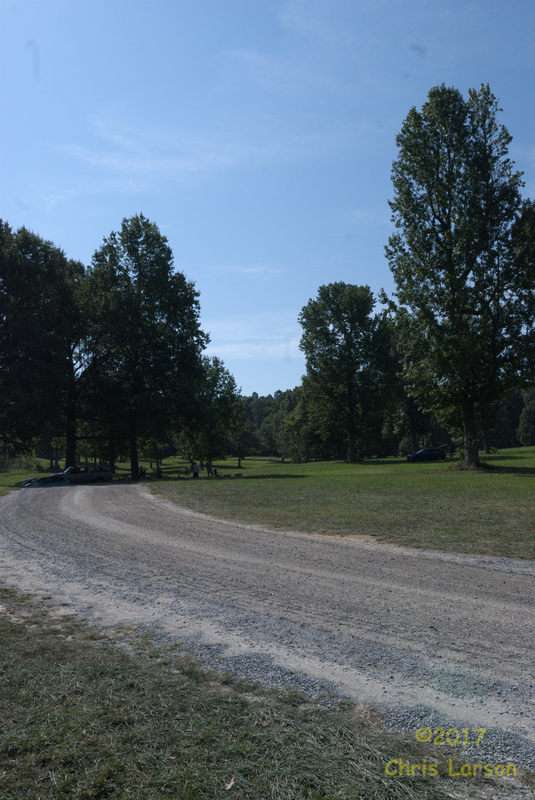 Lots of space for visitors, and I drove back as far as I could in this place to be in a less-populated part. I brought all of my cameras and tripods for this one. However what I did not do is try a dress-rehearsal a weekend or 2 before. I had technical issues that I'm sure I could have worked out a few of them by a practice session at home. 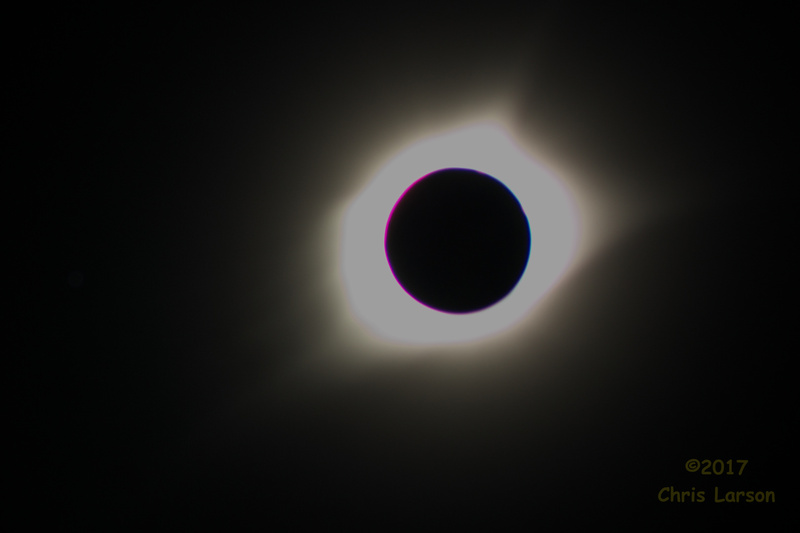 My solar filters were home-made from a 12x12 inch sheet of solar-shield film. 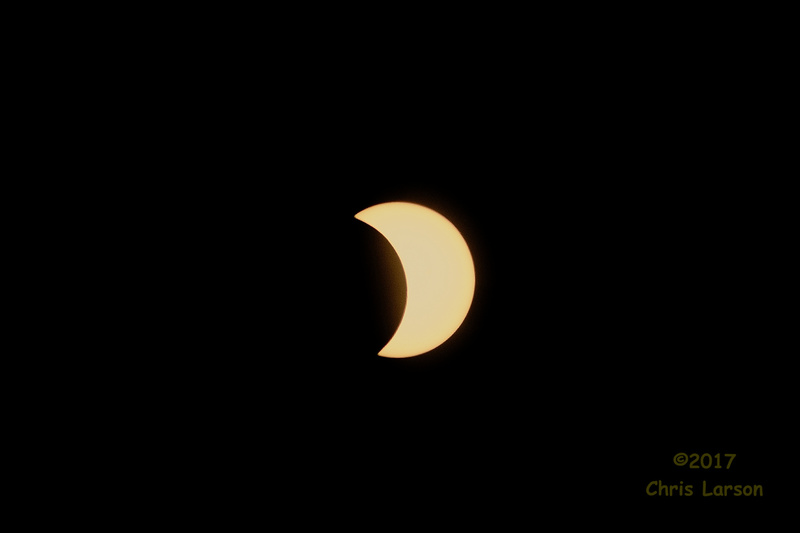 Similar or the same as the stuff that they used for the cardboard eclipse glasses you could buy. My glasses were complimentary from the hotel, but I had brought welding goggles to use if I could not get them. 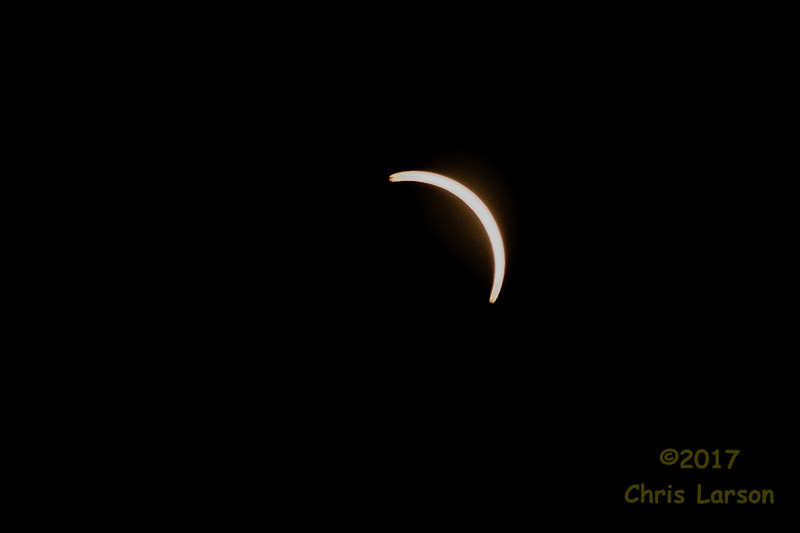 Now the filters I simply cut and sandwiched between cardboard, then duct-taped to the lens-hood of my lenses. Worked pretty good. I was running 2 cameras unattended making time-lapse shots. My primary camera had my 70-300mm zoom lens. I chose not to use my Nikkor 500mm reflex lens, and that may have been a mistake. Wish I had used that with one of the cameras shooting the park in a time-lapse, and just not done that particular time-lapse thing. Live and learn. 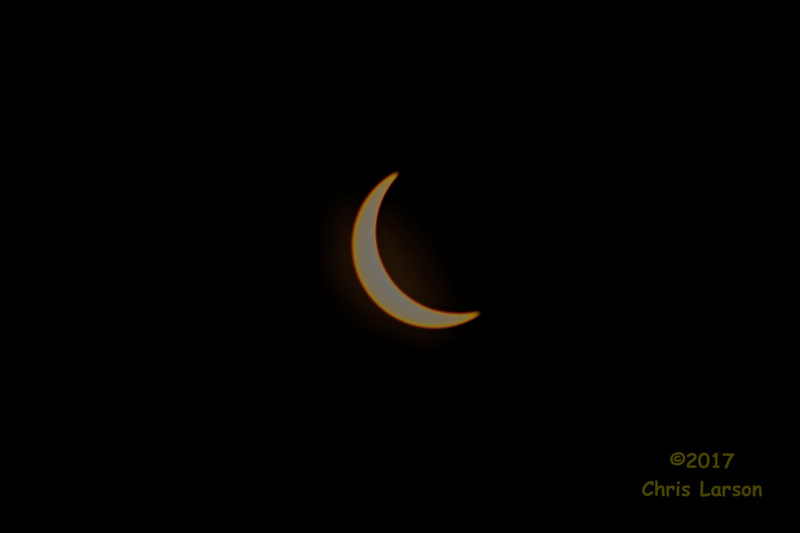 I think the full-eclipse part would have looked even better with the reflex lens as there is no chroma aberration on that thing. 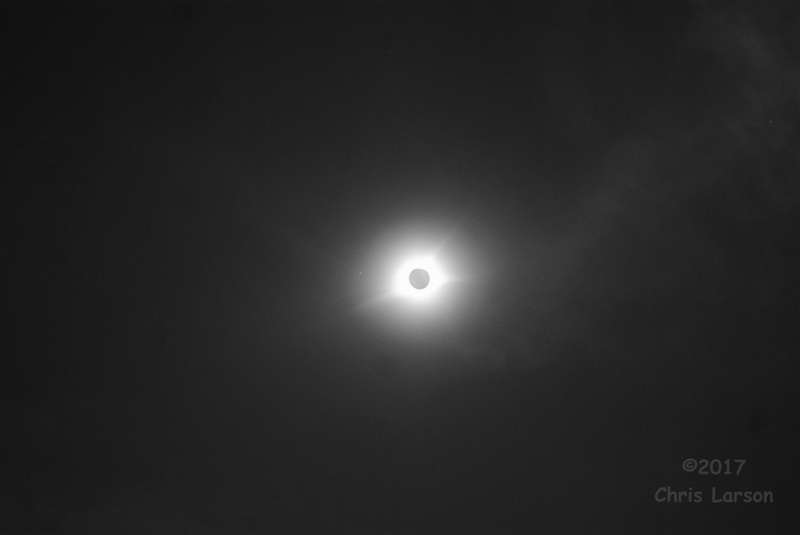 I also badly over-exposed using auto-exposure on the camera. 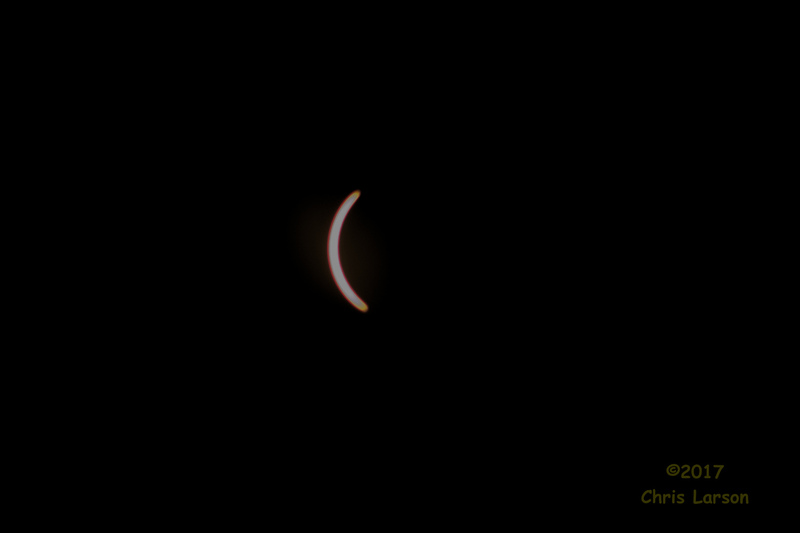 So here are some shots at full eclipse where I tried to process the entire image as 1 layer. Software could not quite eliminate the ring of magenta chroma around the moon. 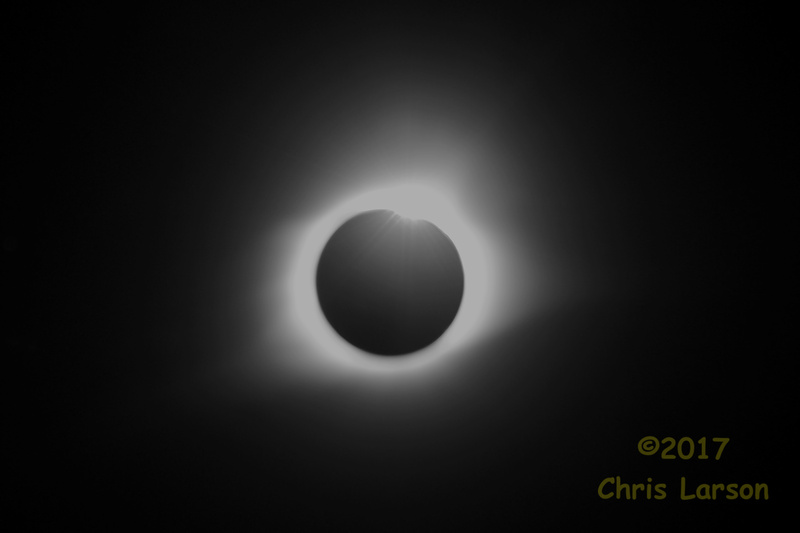 I tried desaturating and processing as B/W on a few shots. 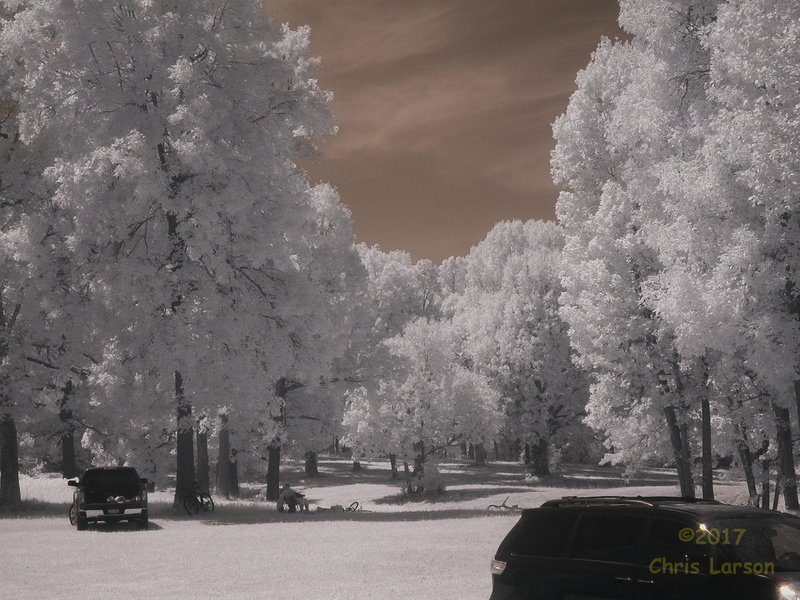 Then I worked at multiple layer processing. 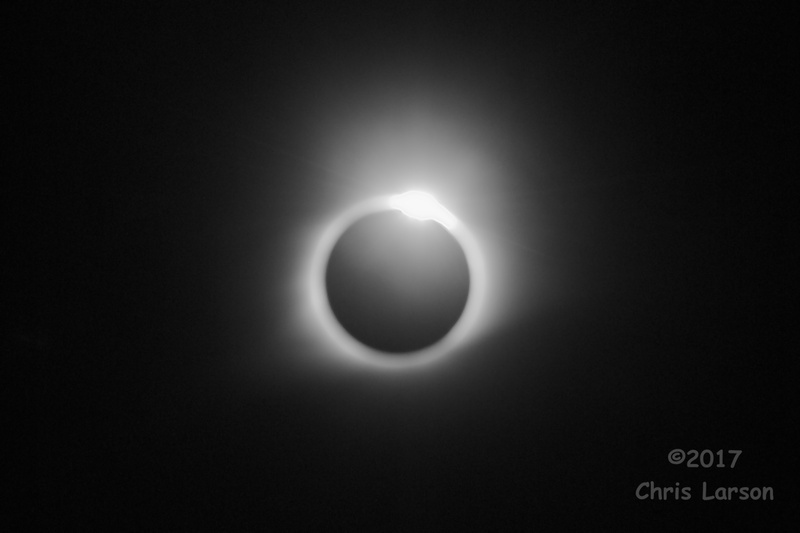 I selected a circle right over the moon disk and just desaturated that in order to make the chroma-ring disappear. I also darkened up the moon disk some. So all-in-all, I could have done better. 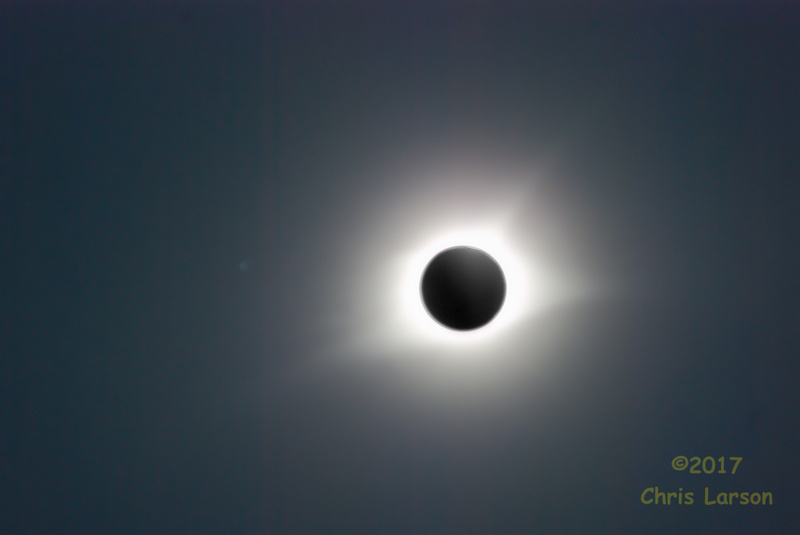 I know a rehearsal would have helped me with my time-lapse series as I did not realize how much manual tracking of the sun I needed to do. I also used the wrong tripod for that camera. 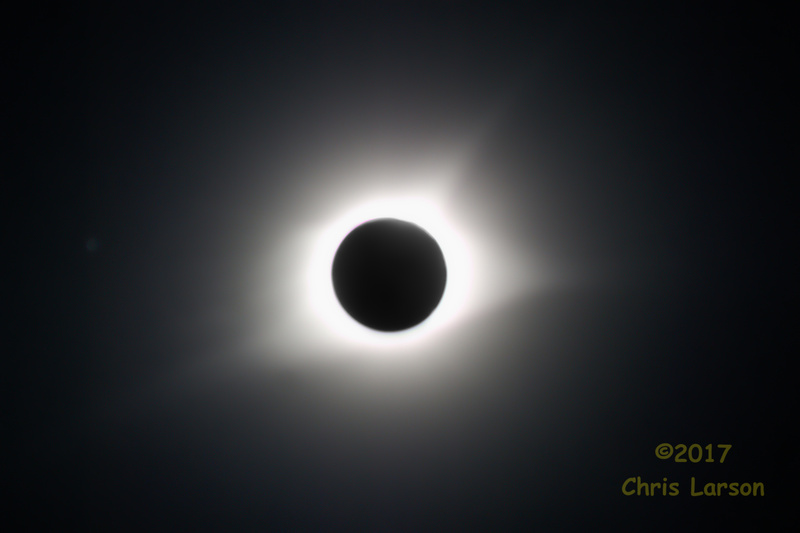 It was not tall enough for me to comfortably aim the camera straight up through the viewfinder. 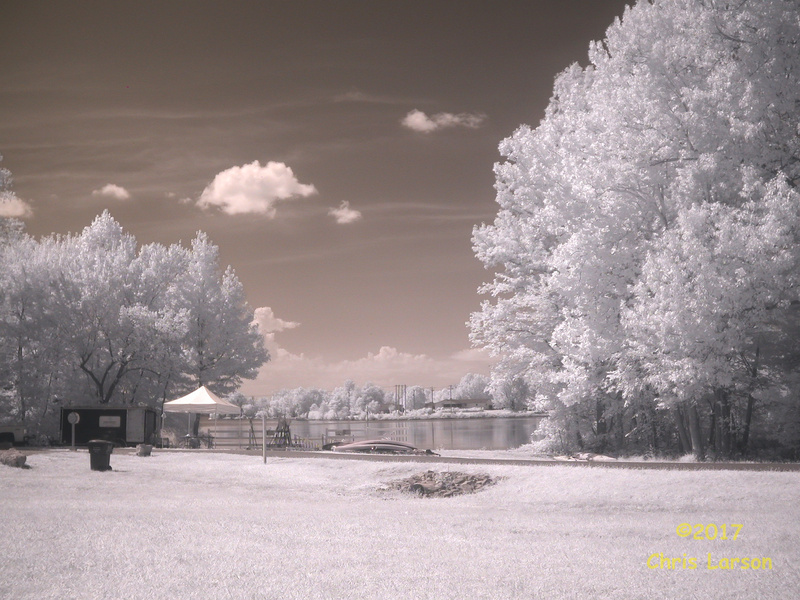 I also brought my infrared camera. 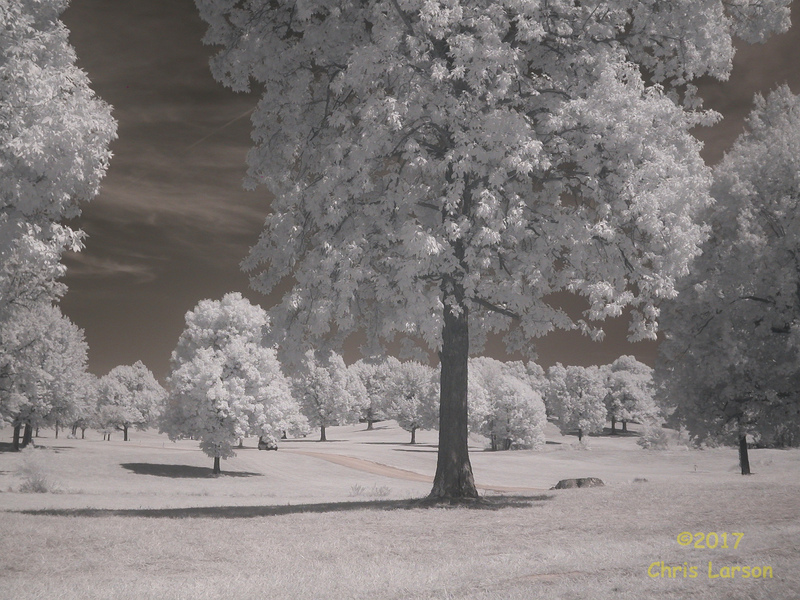 I wanted to try a full-eclipse infrared shot, but I did not have it around my neck at the right time. I could not feel for it quick enough in my bag in the dark. So I did not get that. 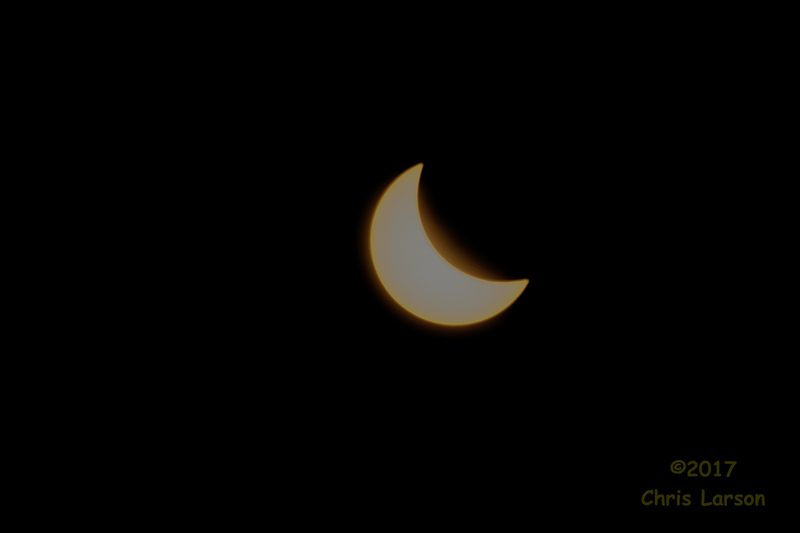 Here is a still from my time-lapse aimed at the park during full eclipse. And some post-full shots with the filter back on. 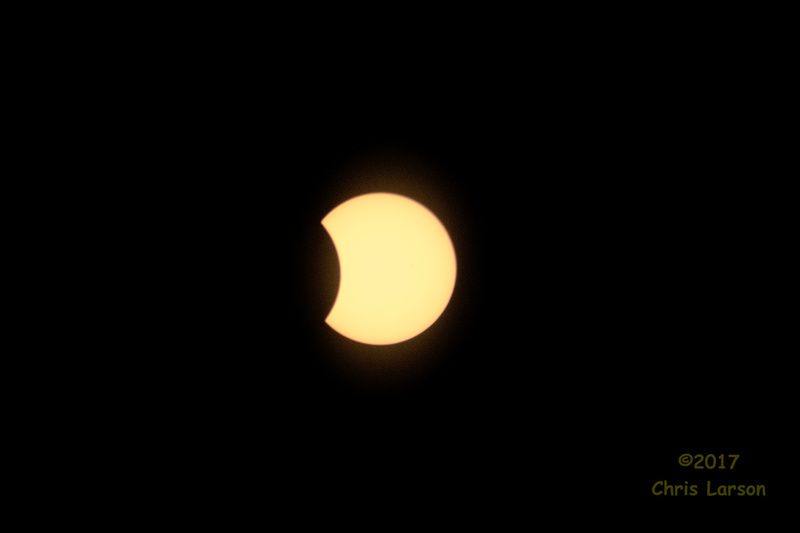 I for-sure took better partial eclipse shots on the after-full part. 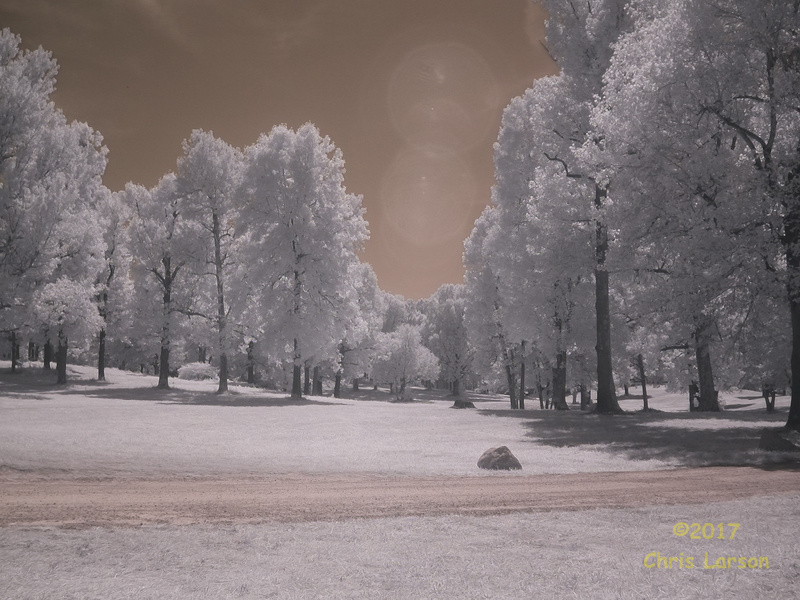 Now I did a series of infrareds on the park in the sunlight. This before I started feeling the heat exhaustion effects. So I had to put my chair under a shade-tree and drink down more water before I attempted to leave. I did have heat exhaustion in the 100-degree heat-index of the day, but I recognized it before it went to a heat-stroke. 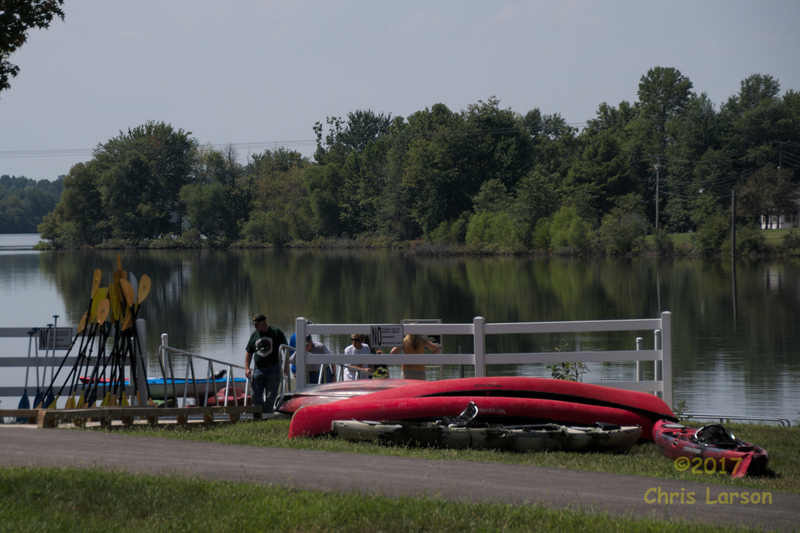 There was at least a breeze off of the lake. I stayed in town one more night to let all the day-trippers get home, then I returned home on the 10-hour drive the next day. 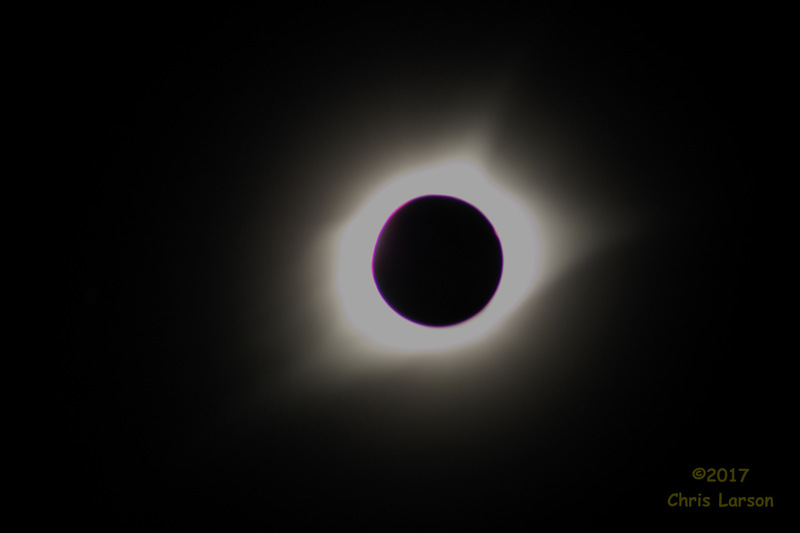 Got to see Kentucky and Indiana a bit, first time in both states for me. While at the park my gear got the attention of both a newspaper reporter and a TV news crew, and I gave both an interview. I don't believe either was used though, unless somebody else can find them online. And the time-lapse videos for the finale.